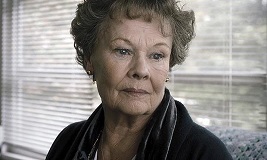 Directed by esteemed British filmmaker Stephen Frears, Philomena is a powerful drama tipped for Oscar glory. Based on a remarkable true story, it centres on an Irish lady named Philomena Lee (Judi Dench) who, as a young woman, gave birth to an illegitimate child. Forced to work in a Roman Catholic convent, Philomena was forcibly separated from her son when he was given up for adoption. 50 years later, the elderly Philomena teams up with former spin doctor turned journalist Martin Sixsmith (Steve Coogan) to find out what happened to her child. Needless to say, there are surprises aplenty in Frears' terrific film, one that breaks the heart and repairs it numerous times over the course of two hours. The redoubtable Dench is magnificent and Coogan matches her every step of the way, his Oscar-nominated screenplay intelligently mixing buddy movie comedy with an angry investigation into institutionalized cruelty. And then of course there's the Oscar-nominated score from Alexandre Desplat, a regular collaborator with Frears who has worked on the director's films The Queen, Cheri and Tamara Drewe. Over the course of his career, Desplat has honed one of the most distinctive voices in modern film music, a precise, controlled, highly classical style that veers between the austere and the deeply impassioned. Desplat often favours intimacy among the musical ensemble, exploring the relationship between the components of the orchestra in a way that is highly intellectual, if occasionally a bit too distant for some listeners. However, there's warmth aplenty in his charming score for Philomena, one that mixes the exacting rhythms of The Queen with the more emotionally direct mannerisms of The Luzhin Defence and The Curious Case of Benjamin Button. It's a score that feels highly familiar yet fresh, a testament to how successful Desplat has been in reinventing his sound across a host of movie genres. There's a plethora of ideas at work in the score for Philomena, Desplat capturing the complex facets of the film's narrative and its characters. The first piece, for Philomena herself, is introduced in the opening track, a dainty waltz for Desplat's usual ensemble of strings, xylophones, triangle and woodwinds, which eventually gives way to a gentle electric guitar in the second half. It's all based around an underlying calliope rhythm that acts as a musical signifier of Philomena's troubled past (it was at a funfair that she conceived her child). "It's not heavy, it's not over-romantic or dark because her character is not dark", Desplat said of the theme in an interview with 'The Hollywood Reporter'. "The situation is dark, what she went through is dark, but she is not a dark person." The piece for Sixsmith on the other hand, entitled 'Martin', is full of bustling, no-nonsense movement, introducing proud-sounding brass to represent his former standing in the British government. That said the array of chimes and percussion are also present to link his theme to Philomena's, indicating the connection that eventually will form between them. These are but two of the facets in the deceptively complex score for Philomena. There's a spiky piece for pizzicato strings in 'Birth' and 'Sister Hildegarde', capturing the coldness of the Roman Catholic nuns who separated Philomena from her son. The moment of the separation itself is captured with eerie, glacial xylophone in 'Adoption' and repeated regularly whenever Philomena reflects on the anguished moment. There's also what may be described as a 'sadness' theme, first heard in the heart-breaking 'Discovering Michael' and again in the lengthy 'Confession' where the subdued woodwind arrangements appear to be consumed with their own form of musical grief. However, by far the most appealing and beautiful theme in the score is the one capturing Philomena's search for her son. Fully introduced on lush, moving strings and gentle xylophone in 'Landing in USA', it reinforces the deep-seated love Philomena has for her child, even across the gulf of 50 years. There are especially lovely variations in 'Mary' and 'Anthony's Story', Desplat forgoing his usual reserve and really wrenching at the heartstrings. Unsurprisingly for a composer of his stature, Desplat intelligently develops these ideas throughout the score, sometimes moving from one theme to another within the space of one track to paint a compelling tapestry of hopefulness and heartbreak. Take for example the effortless shift from sadness to a sense of purpose in 'Confession', anguish steadily giving over to defiance as Martin pledges to help Philomena find her son. 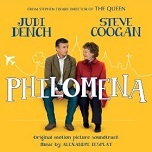 Martin's theme similarly dominates much of 'Quiet Time, To Pete's', indicating that he's becoming more personally invested in Philomena's search for answers. Interestingly, that particular track introduces one of the score's few concessions to Irish stereotype in the form of a Bodhran drum. The only other recognisably 'Irish' piece in the score is the piping woodwind variation on the hopeful theme in 'Drive to Roscrea', Desplat thankfully steering away from such blarney-filled clichés during the rest of the score. And of course anchoring everything is the constant presence of Philomena's theme, reminding us that above all this is her story. The theme gets several prominent renditions, either in full in tracks such as 'Airport' and 'Memories' or in fragmentary form in the latter half of 'Discovering Michael' where the theme carries a sense of purpose, showing that Philomena will not be beaten down by grief. The end of the score resolves things on a poignant yet hopeful note, first with a recap of the separation theme in 'Farewell', which then intelligently builds into a major key befitting Philomena's incorrigible optimism and faith. Philomena's theme then gets one final stand-alone, calliope-only rendition in the ironically jaunty final track 'Fairground Carousel', a reminder of that fateful, life-changing evening she spent at the Irish funfair. What's most remarkable about Desplat's music for Philomena is that there's never a hint of schmaltz or false sentimentality – something that a score for a movie of this type could easily fall into. The composer's masterful control over the orchestra and his fondness for precision ensures that the score sustains a crisp, clear sound throughout, although this is hardly surprising to anyone who's followed Desplat's career over the past 10 years. Although some may find his style somewhat aloof, Desplat's sense of tact is admirable in the way that it subtly, as opposed to overtly, articulates the emotions of a given film. The score also features a remarkable plethora of ideas, all of which circulate around each other intelligently. The music is both of a piece with the rest of Desplat's career yet fresh and engaging enough to stand on its own – moving without being syrupy, yet emotional enough not to feel detached. 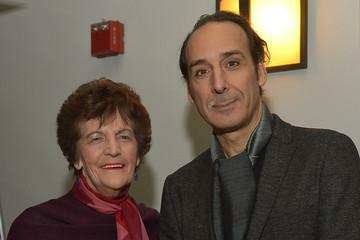 Desplat's Oscar nomination (his sixth) is well deserved; but more important than that is the way in which he continues to prove himself as one of the most distinctive film composers to have emerged in recent years. The score album is currently available as an MP3 download but is shortly to be released on CD at these links: Amazon.co.uk or Amazon.com.